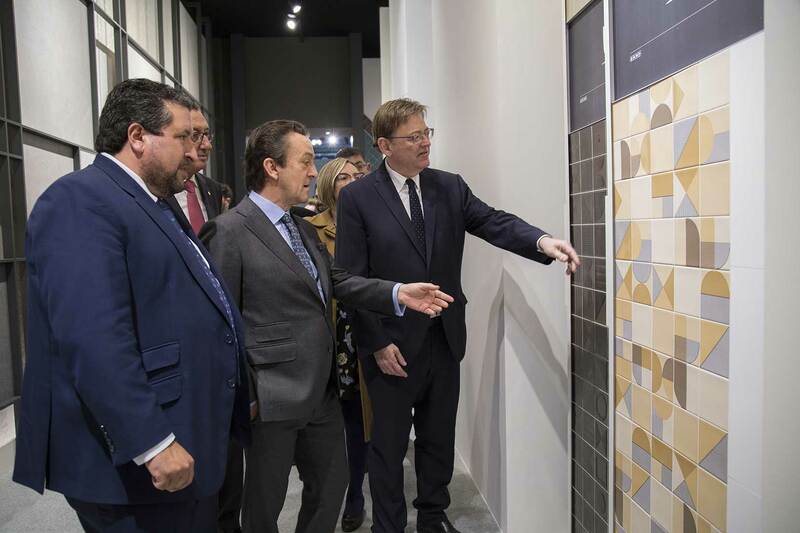 One more edition, the president of the Generalitat, Ximo Puig and the rest of the Authorities have visited the VIVES Azulejos y Gres stand this morning after inaugurating the Cevisama event. President Puig has been accompanied by the rest of authorities who have come to the event and together they have made a tour through the VIVES stand. 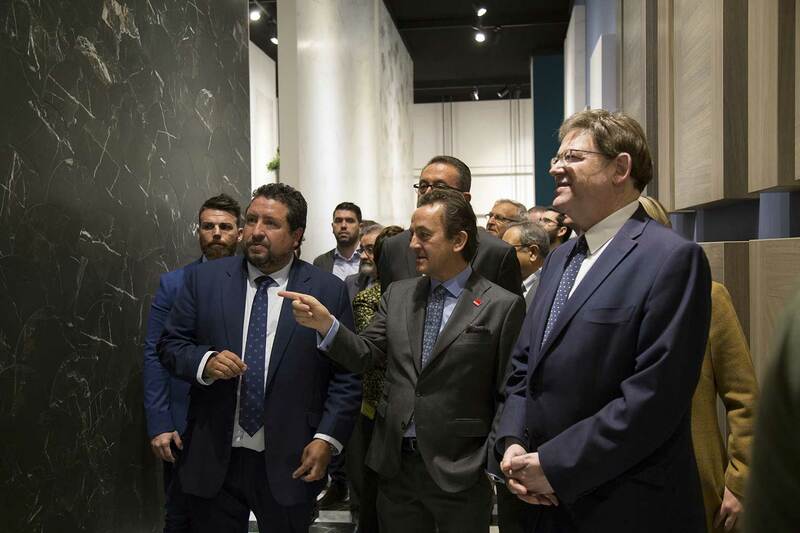 All of them have expressed their appreciation of the latest innovations that the company has launched at the fair and have valued its innovation and development in the Spanish ceramic sector. 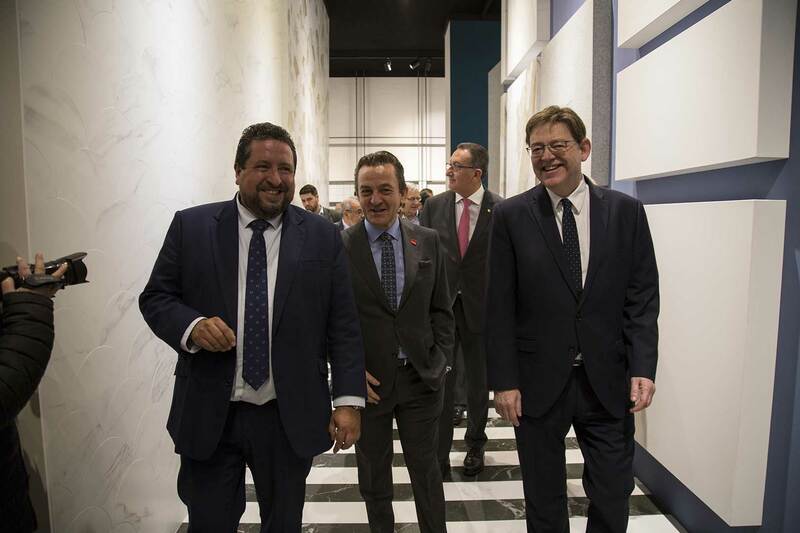 Cevisama Fair takes place from January 28 to February 1 in Valencia, and welcomes all the innovations of the ceramic industry serving as an international showcase for companies, and as a meeting point between exhibitors and customers from around the world.